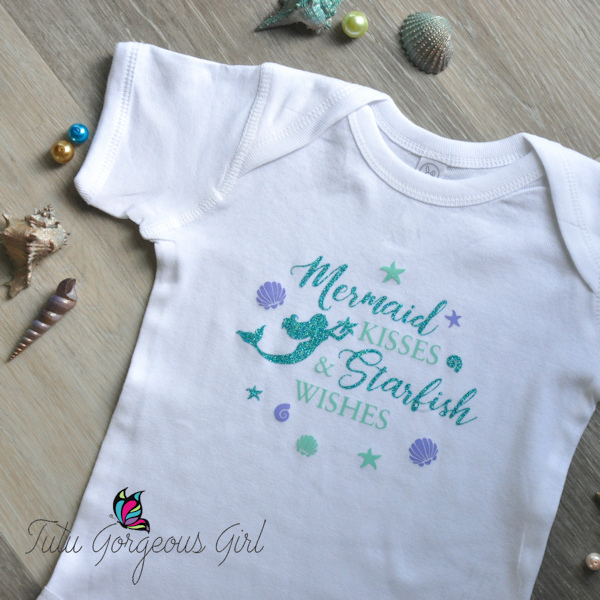 Baby girl's mermaid kisses bodysuit. Mermaid birthday shirt. Baby girl's mermaid kisses bodysuit is made with mint green, sparkle turquoise, and lavender heat press vinyl. Perfect for a mermaid first birthday portraits, mermaid cake smash outfit, baby shower gift, or birthday gift. Color substitutions are welcome. Please contact us to discuss color options.